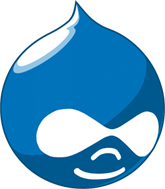 Drupal is a flexible and scalable content management platform for innovative digital products. Drupal is an open source content management platform powering thousands of websites and applications. It’s built, used, and supported by an active and diverse community of people around the world. Media Machine uses Drupal, almost exclusively, to build everything from personal blogs to enterprise applications. Visit http://drupal.org/about for more information on the platform and core features, or for a less technical explanation of Drupal there is a great informative resource available called What Is Drupal? A Guide to Drupal for Non-Technical Types. Please also feel free to browse our Drupal Showcase to view some of the Drupal powered websites we have built. Having worked with Drupal since the early days of Drupal 5 we consider ourselves to be Drupal experts. Drupal has come a very long way since then. With Drupal 7 and 8 in full swing, Drupal core has always demonstrated a consistent release cycle. Apart from using Drupal to build our digital applications, we are proud to be part of its great community. We attend local Drupal group meetings, and encourage anyone interested in the development side of Drupal to get involved! Become a part of the worldwide Drupal community! © Media Machine 2018. All rights reserved.